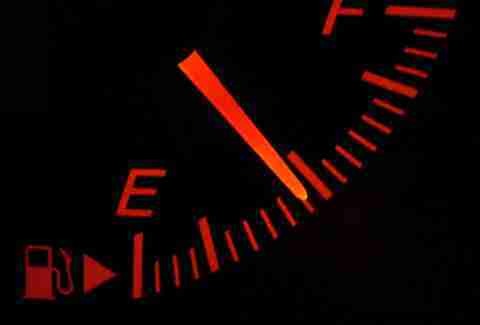 Admit it, no matter how many years you've been driving your car, you still run through a half-second "wait, which side is my gas tank on?" scenario every time you pull into a 7-Eleven to fill up. And let's say you're driving someone else's car, or renting, and you want to do the courteous thing and top it off with fuel. How do you know where the fuel door is? You can try sticking your head halfway out the window for visual confirmation, or you can look like an idiot and turn the car around if you guess wrong. 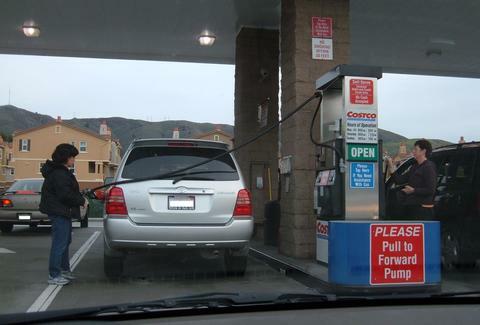 There's one embarrassingly simple trick you probably don't know about that tells you which side of the pump to park on. Maybe you're thinking, "Wait, do people actually have this problem?" A quick Google search for "gas station fail" will reveal that yes, yes they do. But if you or someone you know suffers from this affliction, there is a solution. Since the early 1980s, and quite possibly before that, the gas pump symbol on your fuel gauge has been staring you right in the face, performing two very important functions: a) telling you how much gas or diesel is in your car at the moment and b) literally pointing at the side of the car that has the fuel door. So, please, don't make yourself a star of the next YouTube gas station video. And check out our dashboard signal cheat sheet to learn more about what your car's trying to tell you. Aaron Miller is the Cars editor for Thrillist, and can be found on Twitter. He had no idea people didn't know about the arrow until he was asked about it a few weeks ago.